Written and Media by Ransom Cochrane. Last week, we got to know and learn all about the 2018 Men’s Tennis Team. This week, we are going hear from the women’s team. They will explain themselves and show off their unique talents. 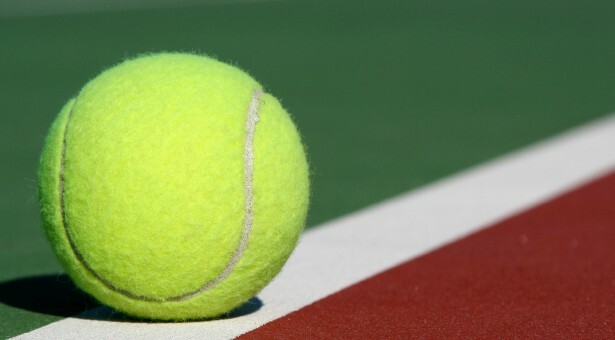 The Greenville Women’s Tennis Team is another sport that is sometimes overlooked. The 2018 women’s team consists of nine women, assistant coach Lexi Baysinger, and head coach Brett Brannon. Brannon has been involved with Greenville’s tennis teams since 2002, but in 2017 he took over the head coaching position. This is his first year with the ladies, and he can’t wait to see what they can do this season. The coaches are excited to see them compete for the SLIAC title. Head Captain Allison Fennewald. Media by Ransom Cochrane. Allison Fennewald, a Missouri native, is this year’s head captain. She will lead her team when competing for this year’s SLIAC title and hopes to defend the title for her senior season. Coming off fourth place in the women’s SLIAC tournament in 2017, Fennewald said “I’m excited about this upcoming season, with the strong competitive freshman as new additions to our team. I anticipate we are going to make a big statement this year in our conference. 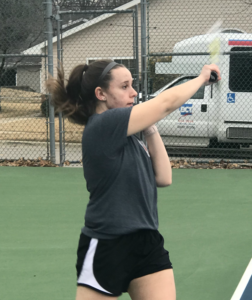 I’m really looking forward to the possibility of beating Principia for the first time in 10 years.” Fennewald has a lot of confidence in her team this spring and can’t wait to see Courtney Blaser and Maddi Walsh compete. The 2018 women’s roster only contains two upperclassmen, Allison Fennewald and Christina Bowman. Not only is it expected for Fennewald and Bowman to help each of the five freshmen and two sophomores improve their skills, but they must also teach them the inner workings of the team. This winter season has had its ups and downs when it comes to the weather. With the rainy weather lately, the women have been very patient and versatile when it comes to moving inside for practice. They practice almost every weekday unless coach Brannon says otherwise or weather and other circumstances won’t allow it. Samantha Siefken practicing her swing. Media by Ransom Cochrane. To be at the collegiate level, student athletes are required to put in a ton of work and time. Walsh and Blaser are the only athletes to have competed in a conference tournament. These student-athletes must push the freshman to get them to the level of competition to take the SLIAC title. Coach Brannon has lead the Men’s Tennis Team to the SLIAC tournament for the past three years and hasn’t placed any lower than fourth. 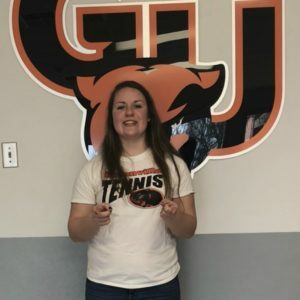 We are very proud to have our granddaughter, Allison Fennewald, as Captain of this years tennis team and wish them the very best and hope they make it through to a 2018 Conference Title!!! We love you!!! !